It’s getting to that “management charges” time of year again……. I know that I talk about management charges A LOT. And there is a VERY GOOD reason for it. For the 10 years or so thta I’ve been running this website, every month over 60% of all of the searches to this website contain the words “management charges”. That’s a staggering proportion. Of the remaining 35 – 40%, the majority are property related. But it’s that consistent need for information about management charges and cost sharing that always predominates. And, as I’ve explained below, it’s simply NOT as easy as the invoicing company adding VAT to the charge and the paying company claiming it back. That’s not how the VAT rules work. do I add VAT to a management charge that includes VAT exempt rent? can company A claim VAT on legal costs if it raises a management charge to company B? can we use the cash accounting scheme to claim VAT on management charges before the management company has to pay it to HMRC? …..and a whole range of other things. 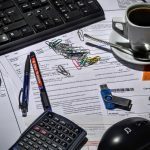 VAT and management charges – always a headache! Does it really matter if the associated companies can claim the VAT? You might assume that the obvious answer to the question is simply to add VAT to everything if the associated companies can claim the VAT on their VAT return. One of the most important principles about VAT is that you can only claim VAT if it has been correctly charged. Which means that it’s not simply enough to allocate a proportion of head office costs to each trading company and call it a management charge. You have to be able to demonstrate that the head office/holding company has provided services in return for the payment. But management charges aren’t always payment for services that are liable to VAT. Typically, management charges are calculated by sharing out head office costs might that include property costs which could include VAT exempt rent; staff costs and insurance payments that may be disbursements and therefore VAT free; never mind the cost of upgrading the directors’ company car scheme. You may even already have a management services agreement that says you’re providing management services and issue invoices on a monthly basis. But the important thing isn’t how the charges are calculated, the important thing is what the associated businesses have received in return for their money. Once you can answer that, then you can work out whether to charge VAT. HMRC now regularly query VAT claims for “management charges” that do not represent payment; or “consideration” in VATspeak” for a services that are liable to VAT. They see this area as having potential for errors and, more importantly, fraud. And I can see where they are coming from. Businesses sometimes use the “management services” process for moving profit or costs round corporate groups. In some cases this is done to an extreme level, inflating charges on a regular basis, deliberately to take advantage of VAT arrangements such as cash accounting, so that the recipient company can claim VAT before the management company has to pay it to HMRC. At this level, it is potentially open to the charge of being fraud, never mind anything else. Of course the majority of charges between associated businesses are completely valid and are for a supply of goods or services. In practice, I’d always recommend having a management agreement to formalise the arrangements and make sure that the value of any charges can be supported by time sheets and other evidence of work done or services provided – it might be as simple as having copies of rent or insurance invoices from the landlord and other suppliers. Alternatively, you might consider setting up a VAT group registration to minimise the administration and avoid potential problems. But there will be times when the charge is for a specific type of services, e.g. property rent which is normally VAT exempt; insurance charges, disbursements and other payments that aren’t liable to VAT. Many of these costs are subject to special VAT rules and you need to understand how the rules apply in these situations. This is a complicated subject and there are already several articles and blogs about this subject on the website – some listed on the page below. 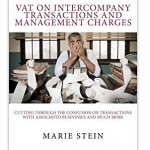 I’ve also written a book about this subject; “VAT on inter-company transactions and management charges…” which you can buy from the website shop as a pdf or from Amazon as a paperback. In the meantime, please contact me direct if you need help about this or any other VAT issue. My contact details are at the top of the page.